The Sustainability Cohort is a group of researchers and practitioners working on industrial sustainability from a variety of angles, including design, engineering and manufacturing. The Cohort's aim is to encourage peer-to-peer learning and sharing support mechanisms among doctoral researchers in their PhD journey as well as practitioners and senior academics. The Sustainability Cohort is created for researchers/practitioners by researchers/practitioners. To bring together a group of researchers and practitioners with interests in sustainability and industry (design, engineering, manufacturing, factories) to seed an environment in which a community (and communities) can emerge. To enable researchers to share knowledge and ideas in the spirit of knowledge enhancement and personal development rather than to solve any particular problem. 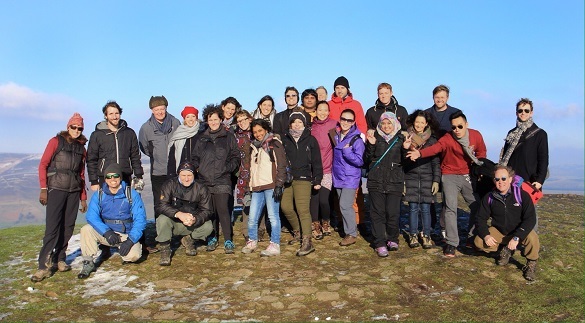 For more information about the Sustainability Cohort and its activities, please contact the cohort coordinator Dr Daniel Summerbell (dls43@cam.ac.uk). If you are interested in joining please write to Sharon Mey (cis-admin@eng.cam.ac.uk) describing your research and your motivation to join the Sustainability Cohort. We will get back to you as soon as possible.